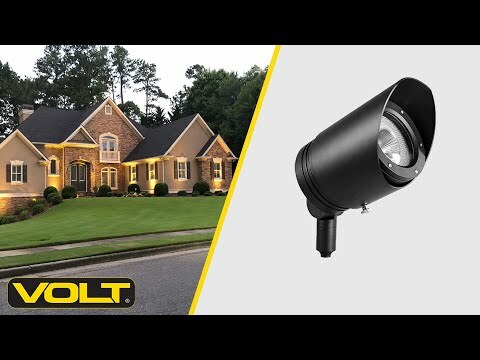 Our biggest, most powerful lamp-ready 120V spotlight! A 120-277V Lamp-Ready Spot Light made from die-cast aluminum with super-durable powder coating. The Max All-Star is a scaled up version of our 12V All-Star Spotlight with many of its features. It has a fully adjustable glare guard for increased light adjustability compared to competitors with set glare guards. The set screw on the glare guard is coated with rubberized plastic to avoid scraping and scratching the fixture body. This fixture also features a super-sized knuckle with small interlocking teeth that allow for a strong, securely locked adjustment with the ability to precision aim the light as you wish.